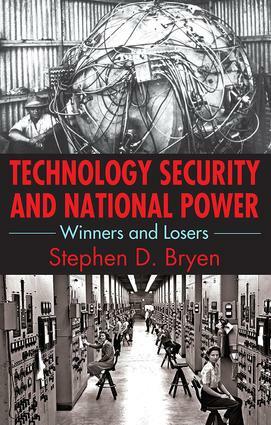 In Technology Security and National Power, Stephen D. Bryen shows how the United States has squandered its technological leadership through unwise policies. Starting from biblical times, he shows how technology has either increased national power or led to military and political catastrophe. He goes on to show how the US has eroded its technological advantages, endangering its own security.The scope ofTechnology Security and National Power extends across 3,000 years of history, from an induced plague in Athens to chemical weapons at Ypres to an atomic bomb on Hiroshima to the nuclear balance of terror. It describes new weapons systems and stealth jets, cyber attacks on national infrastructure, the looting of America's Defense secrets, and much more. The core thesis is supported by unique insight and new documentation that reaches into today's conflicted world.More than a litany of recent failures and historical errors, this book is a wake-up call for political actors and government officials who seem unable to understand the threat. Technology Security and National Power proposes that the United States can again become a winner in today's globalized environment. Did a Microchip Win the Cold War?